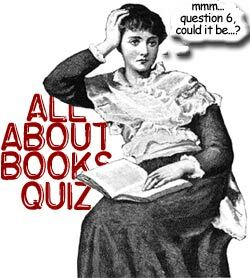 With World Book Day on April 23 (celebrated in the UK and Ireland on March 6) it was only fitting that the quiz should be All About Books. You may need to use a little brainpower rather than a search engine to help you on one or two, but you can do it. Next issues quiz will continue the book theme with questions concerning films based on books. 1. Which city was involved in getting UNESCO to officially declare April 23rd World Book Day? 2. What are the leaves called that secure a books pages to its front and back covers? 3.What, respectively, are the left-hand (even-numbered) and right-hand pages of a book called? 4. Which books title comprises the simplified instructions for its destruction? 6. This German book went on to worldwide success. Strange, considering it stinks. 7. Strange fruit indeed. Mine seems to be ticking! 8. Which literary work takes its title from a translation of the Hebrew word, known in English as Beelzebub? 9.Which of the following has a one-word final chapter that is also the title of the authors next book? 10. A Hemingway title was taken from a sermon by which one of the following? 12. Not trying to send you barking mad, but what links Pinkney Benedict, Frederick Forsyth, Richard Adams, Kem Nunn and John Lydon? 13. And yet on the other hand unless warinesse be us'd, as good almost kill a Man as kill a good Book; who kills a Man kills a reasonable creature, Gods Image, but hee who destroyes a good Booke, kills reason it selfe, kills the Image of God, as it were in the eye." 19. Which author had on the copyright page of one novel: The opinions expressed in this book are not those of the author? 20. Initially, what is bound to link these authors? © 2003 The Barcelona Review.